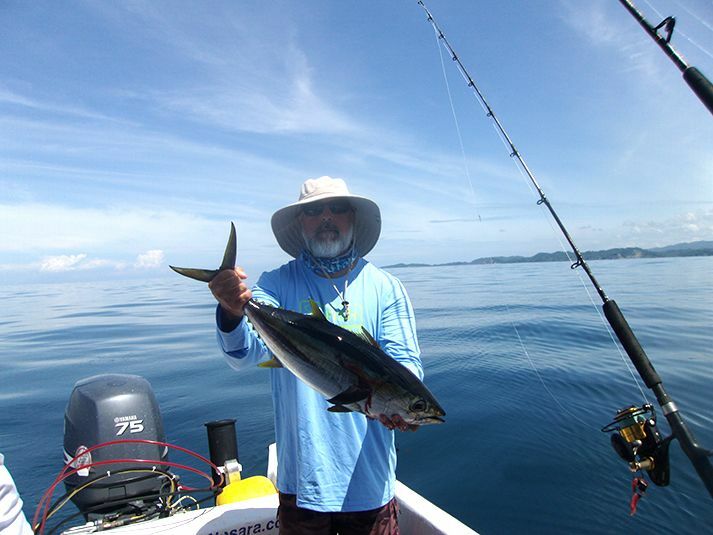 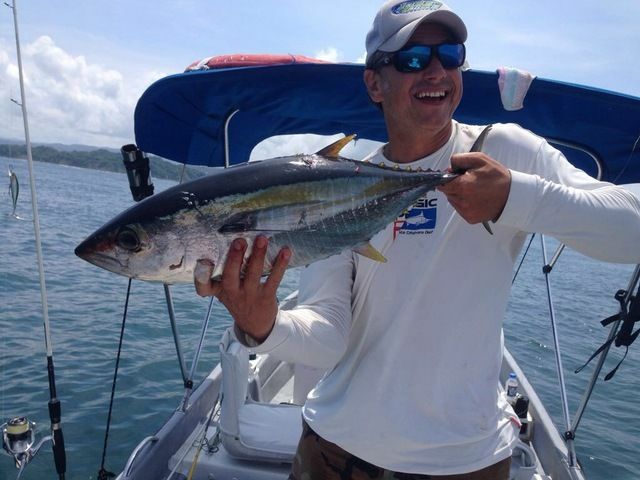 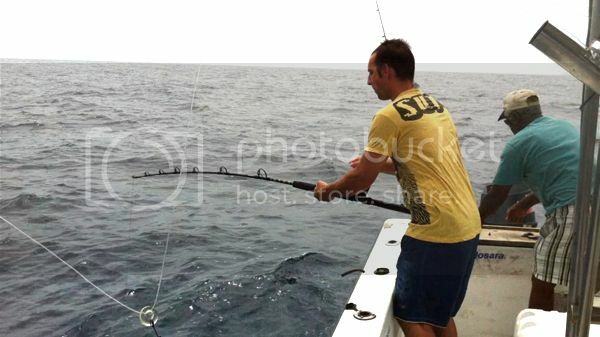 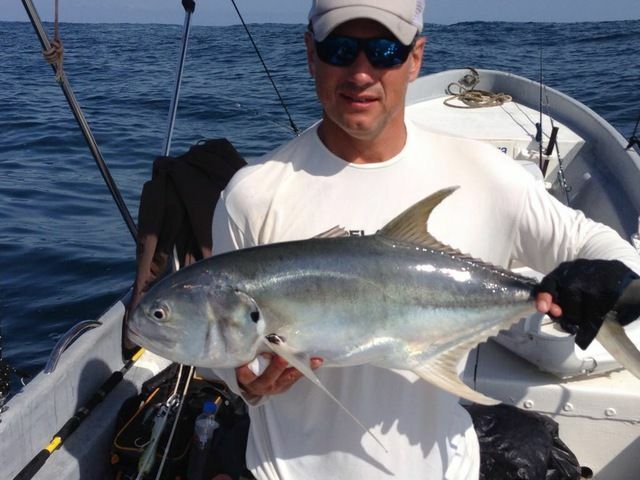 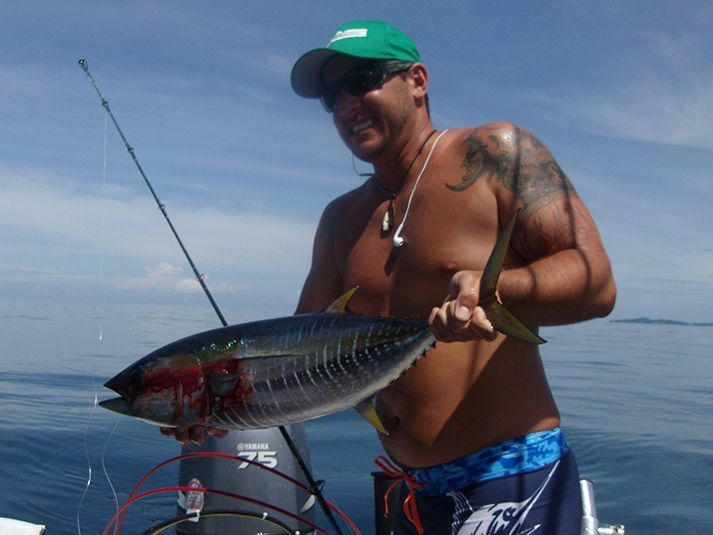 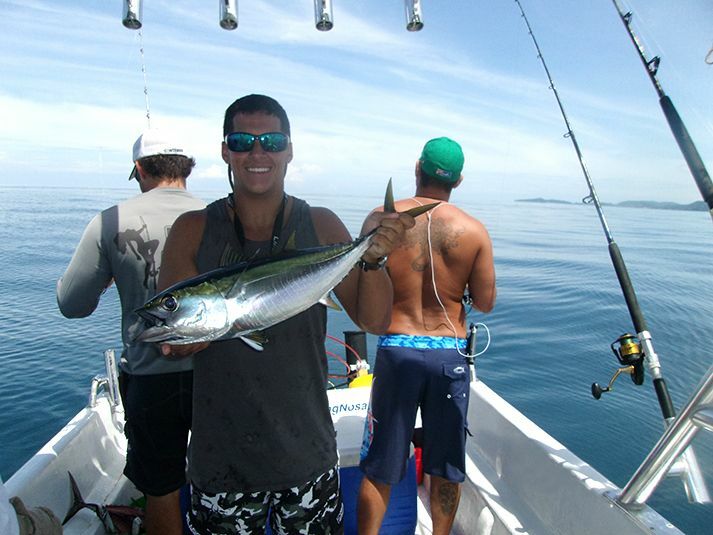 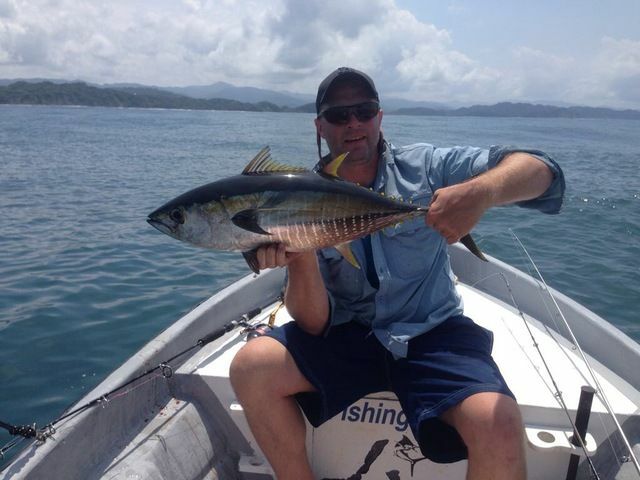 Captain David is known for delivering unique catches for his clients. 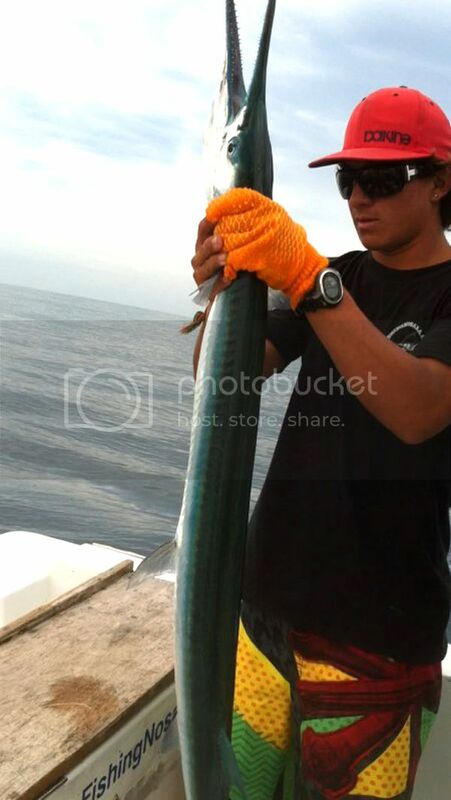 For instance, check out this 5 foot long Needlefish. 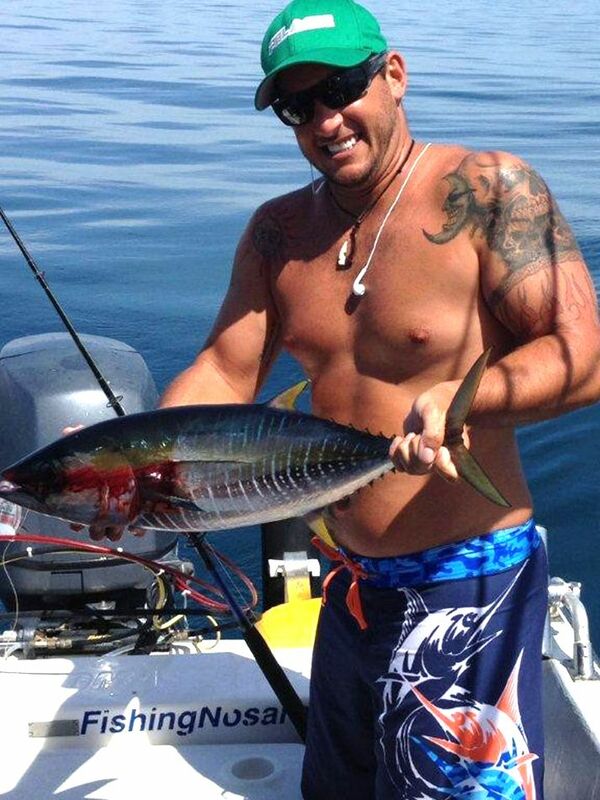 Angler Paul Harmon will be enjoying this shallow-water delicacy which is known to be world-class sushi meat. 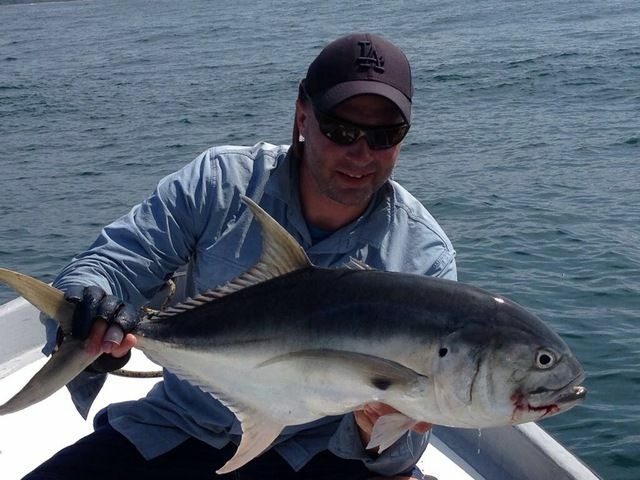 The Adventurer continued to score in late July with a wide variety of marine life finding their way to the icebox. 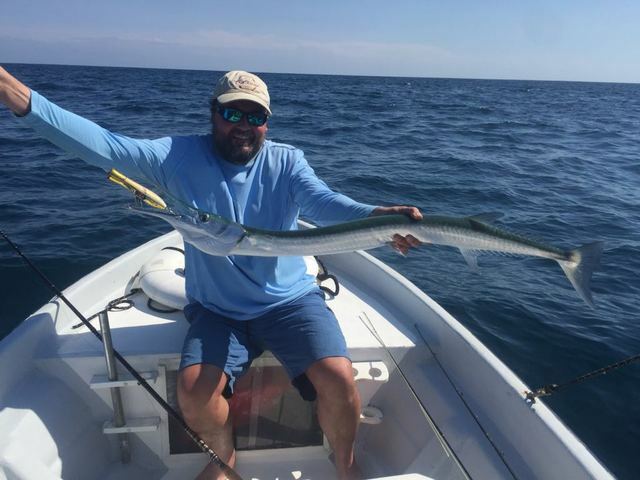 The formidable fishing family of Captain Zack Gerzeny tried their hand at Extreme Panga Fishing on August 5 they returned to shore with some excellent variety on the scorecard. 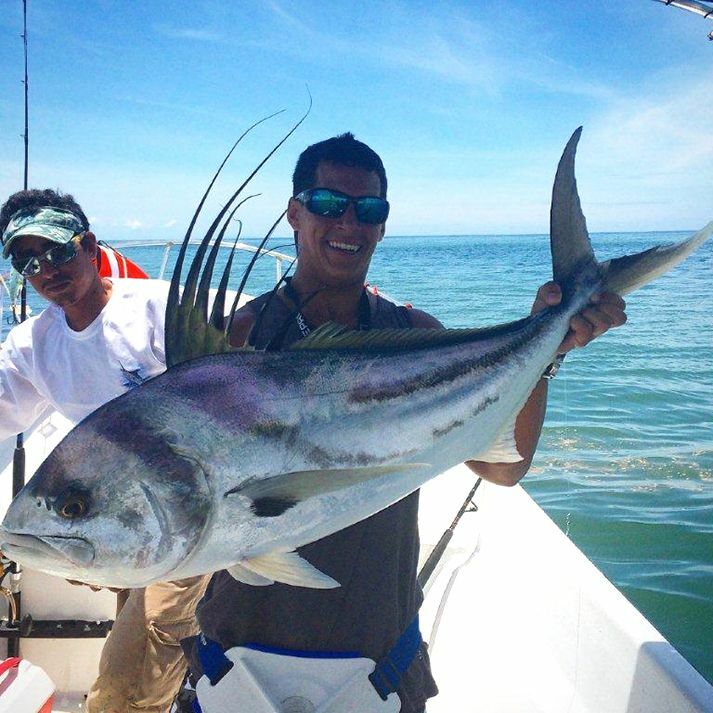 The highlight was this monster Rooster Fish release, but they backed it up with some tasty Yella Fellas and a mean-mouthed Needlefish. 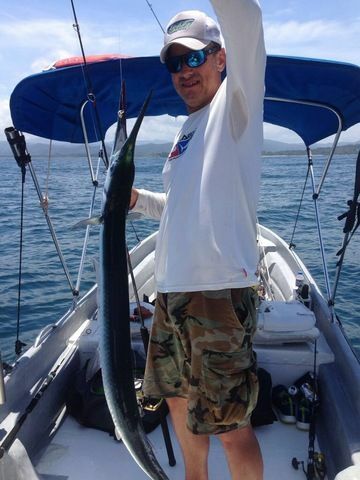 On May 23 Captain Vibert welcome a nice visiting family to the Cabo for a half-day trip and everyone had a great time. 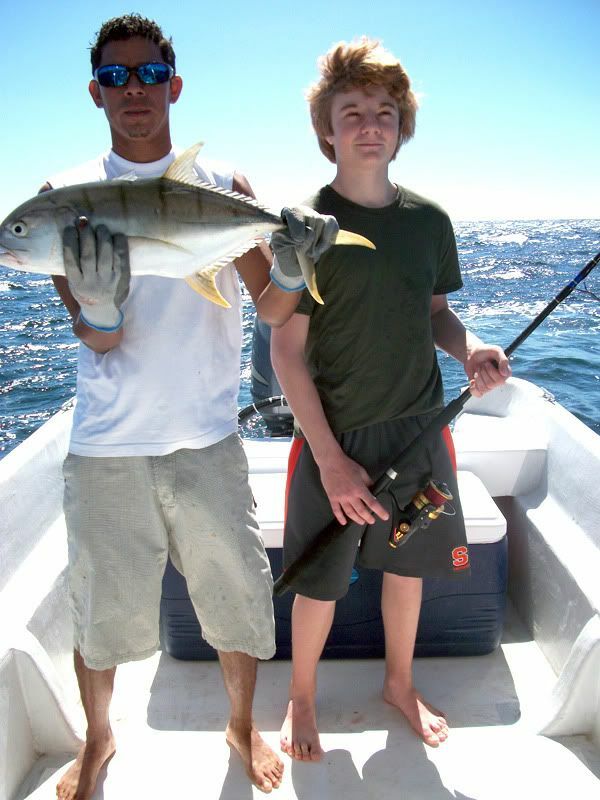 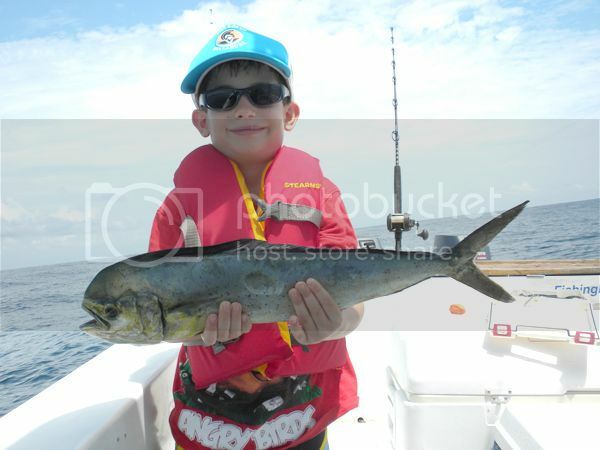 Check out this mini-Dorado caught by this mini-Angler. 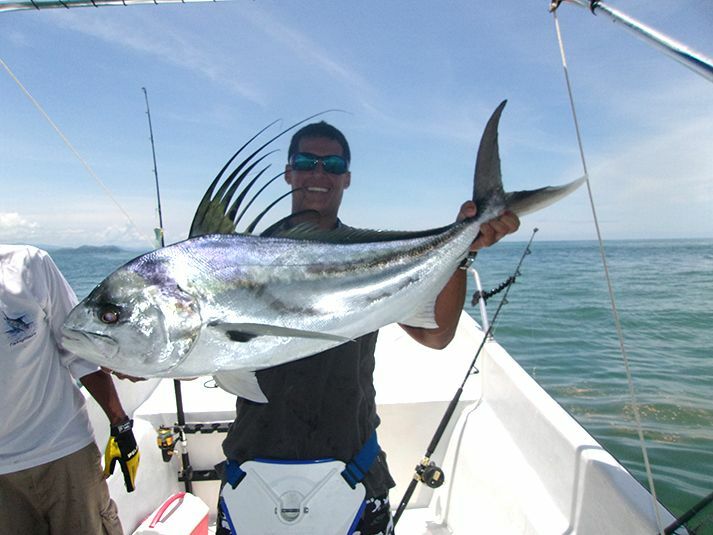 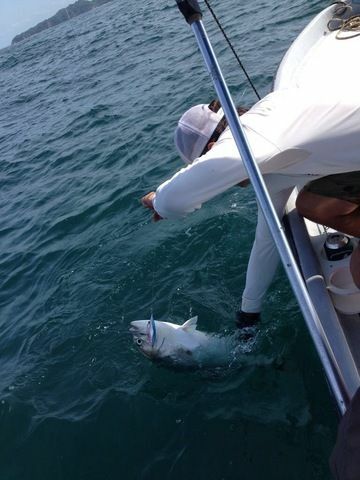 The Master Captain always delivers great trips for his clients big and small. 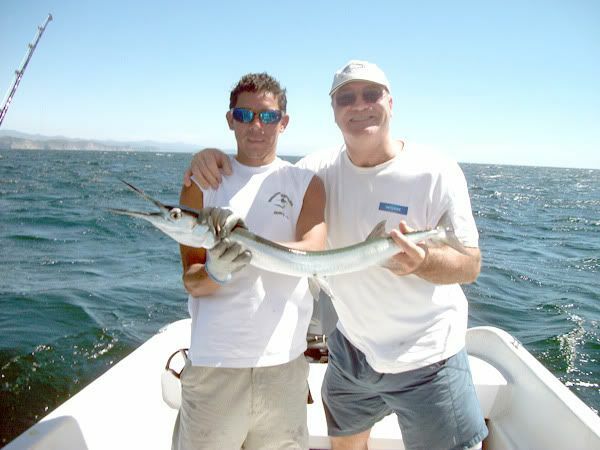 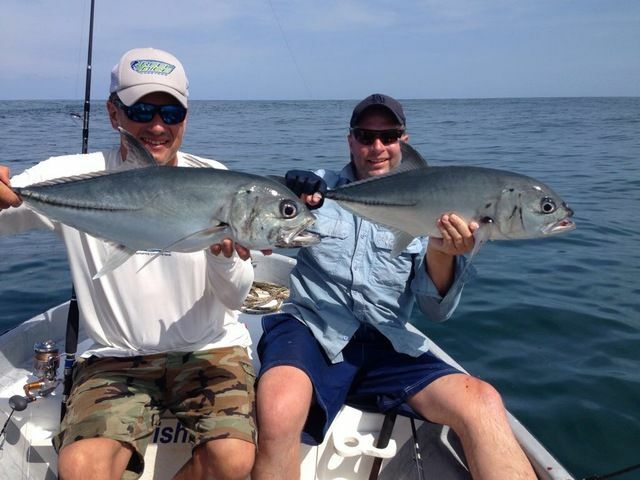 Most recently Captain Vibert welcomed client Adolfo Malavasi for a full day of fishing on the Cabo and they had a banner day. 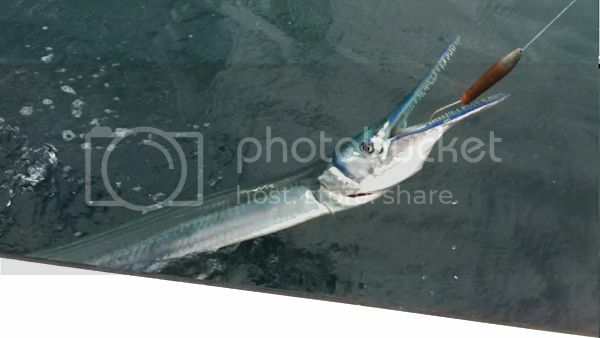 The first big catch was this amazing Needlefish on a slow trolled cedar plug. 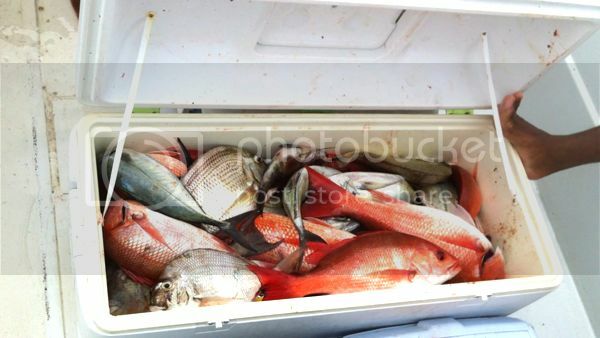 Then things really started to heat up with a variety of Snappers and Tunas. 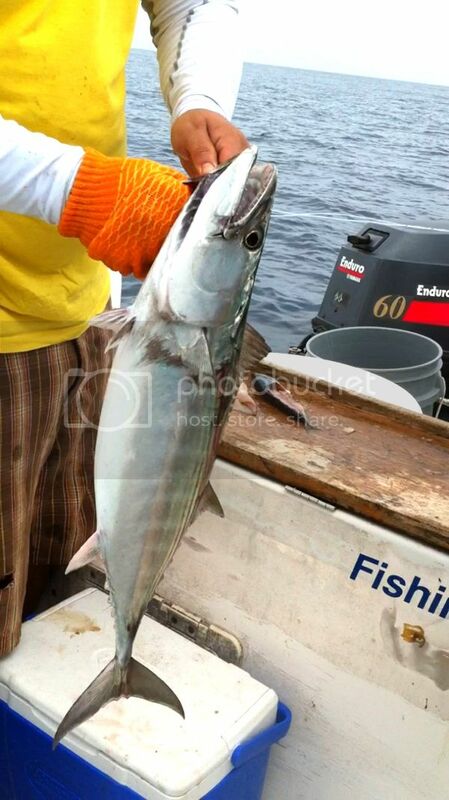 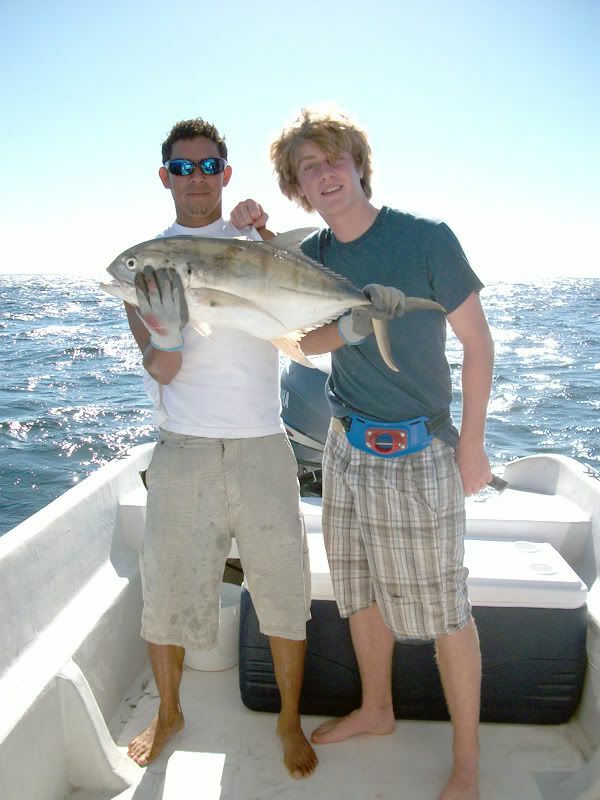 This White Tuna is one of the tastiest fish in the sea and a tough fighting fish.